Kevin is a senior fellow in information security for CPE Interactive. In addition to his training role at CPE Interactive, he is an independent consultant providing consulting services for companies throughout the world. He focuses on computer forensics and hacking courses. He headed the team that built the U.S. Navy Network Operations and Security Center (NOSC), served as the Leading Chief of Information Security and provided consulting services throughout the world. While in this position, he created a strategy and training plan for the development of an expert team. This effort took personnel with little or no experience and build them into an expert information security team for NOSC. Kevin is considered an authority on information security and vulnerability assessments. He is a developer, author, instructor in computer forensics and hacking courses. He is the author of the Center for Advanced Security and Training (CAST) Advanced Network Defense and Advanced Penetration Testing courses, Building Virtual Pentesting Labs for Advanced Penetration Testing, Advanced Penetration Testing for Highly Secured Environments (second edition) and Backtrack: Testing Wireless Network Security. He has conducted technical presentations at Blackhat USA, Hacker Halted, ISSA, and TakeDownCon conferences as well as many others. 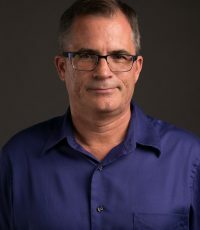 Kevin holds a bachelor of science degree in computer science from national University in California and a Master of science in software engineering from Southern Methodist University (SMU).